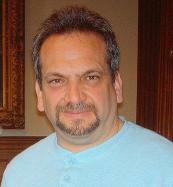 Anthony Buccino published eighteen books, including five essay collections and six full-length poetry collections. The Nutley Sons and Belleville Sons honor roll paperbacks recount the lives of more than 300 men who died in service to their country. Books are available in print and for eReaders. Buccino earned Society of Professional Journalists Excellence in Journalism awards in 2010, 2011 and two in 2014. Media-Affiliated transit blog earned a SPJ-NJ 2010 Excellence in Journalism award. Nominated in 2010 for Pushcart Prize by editors of US 1 Worksheets. Honorable Mention in the 2011, 2010 and 2009 Allen Ginsberg Poetry Awards contests. Editor's Choice in the 2008 Allen Ginsberg Poetry Awards contest.